Introduction to Computer Security draws upon Bishop's widely praised Computer Security: Art and Science, without the highly complex and mathematical coverage that most undergraduate students would find difficult or unnecessary. The result: the field's most concise, accessible, and useful introduction. Matt Bishop thoroughly introduces fundamental techniques and principles for modeling and analyzing security. Readers learn how to express security requirements, translate requirements into policies, implement mechanisms that enforce policy, and ensure that policies are effective. Along the way, the author explains how failures may be exploited by attackers--and how attacks may be discovered, understood, and countered. Supplements available including slides and solutions. An excellent, beautifully written introduction to the subject of computer security--by a master teacher and practitioner. 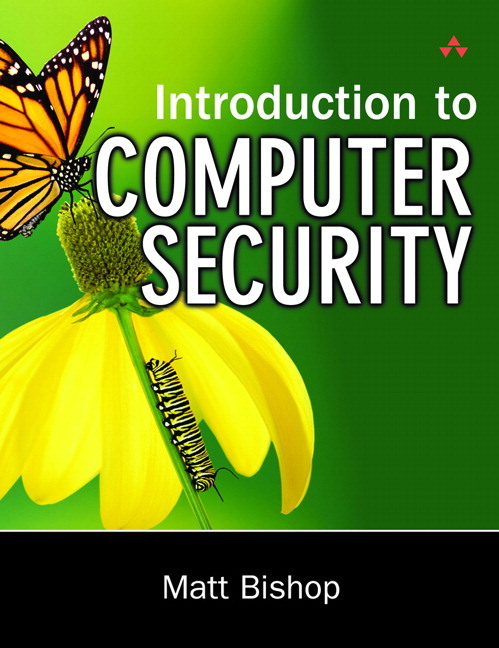 ° An introduction to the science and challenges of computer security, useful as either a self-teaching tool or a classroom text. ° Trimmed down and less expensive version of Bishop's definitive work on computer security, with more mathematical and advanced sections removed. ° A well-known security expert and educator, Bishop's command over the subject is tremendous. Topics follow the syllabus of an undergraduate course. Page count has been trimmed down. Lower price correlates to content provided in this version. Contains fewer mathematical sections making the book more accessible to undergraduate students. Removed the advanced level topics intended for a graduate course. Focuses more on the application of theory than the theory itself. Students will immediately be able to apply what they learn. Updated summary, further reading and exercises to reflect the changes in new version. Differences Between this Book and Computer Security: Art and Science. Building Security In or Adding Security Later. 28. The Extended Euclidean Algorithm. Solving ax mod n = 1. Solving ax mod n = b.
Matt Bishop is a professor in the Department of Computer Science at the University of California at Davis. A recognized expert in vulnerability analysis, secure systems/software design, network security, access control, authentication, and UNIX security, Bishop also works to improve computer security instruction.